Home » Posts » Blogs » Did you take part in World Glaucoma Week? Did you take part in World Glaucoma Week? Glaucoma is an eye disease caused by an increase in internal eye pressure on the optic nerve. Typically, it affects us when we get into our 60s, but it can happen before this. Common symptoms include loss of peripheral vision. Glaucoma can lead to permanent damage to our eyesight if we do not receive treatment at an early stage. This is why a regular eye examination is so important more so if there is a family history of the condition. As populations around the world live longer, Glaucoma is on the rise. To help awareness of the condition and to educate people that treatments are available, two organisations joined forces to help bring knowledge of the eye disease to the masses. They were the World Glaucoma Association (WGA) and the World Glaucoma Patient Association (WGPA). The main driver of BIG was the B-I-G Global Breakfasts. Countries from around the world hosted fundraising breakfasts near famous landmarks to raise awareness of the eye disease. 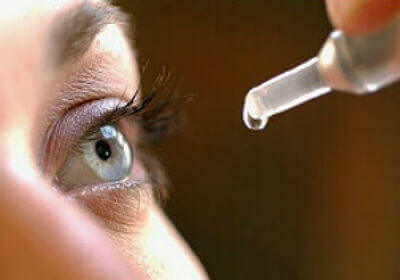 Eye Drops: Often, Glaucoma can be simply treated with medicated eye drops. These drops help to relieve the pressure on your optic nerve and, subsequently, your peripheral vision is unaffected. As you can imagine, there is a lot of inconvenience from applying eye drops on a regular basis. It is worth doing however, to preserve the integrity of your optic nerve. There is a form of laser eye surgery specifically designed to treat Glaucoma. This eye surgery procedure helps lower pressure by improving the flow of fluid inside the eye. Can I Have Corrective Vision Laser Eye Surgery if I Have Glaucoma? The simple answer to this question is that it depends on the type of Glaucoma you have, and how severely you suffer with it. Prior to any treatment procedure at AVC, we take you through a rigorous suitability examination. This will tell us if you can undergo laser eye surgery to correct your vision. If you would like to find out if you are suitable for laser eye surgery at Advanced Vision Care and discover what it can do for your eyesight, then why not call AVC TODAY on 0800 652 4878 and request your free information pack or book your consultation to find out how we can help you.